Handyman services and home improvement. Southampton, NY. Call us for all your caretaking needs in the Hamptons. Custom caretaking, custom painting, custom decks, customer service!!!! Southampton Handyman has been in serving the Hamptons since May 2005. We strive to have nothing but satisfied clients. 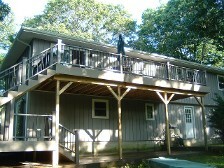 We specialize in custom deck design and construction.We also provide custom painting and contracting. We can help make your home look brand new. We are here to take care of your home with custom caretaking services. We want you to enjoy your time in the Hamptons without worrying about any problems. You work hard and deserve to relax and have nothing but fun and good times while at home in the Hamptons. Please feel free to contact us at any time for more information. 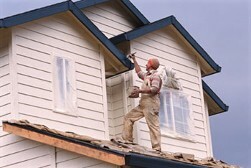 Southampton Handyman started in the Hamptons in May 2005. We strive to give the best customer service and maintain the highest quality. Contact us all your handyman, construction, contractor and caretaking needs. We pride ourselves on honesty and integrity.